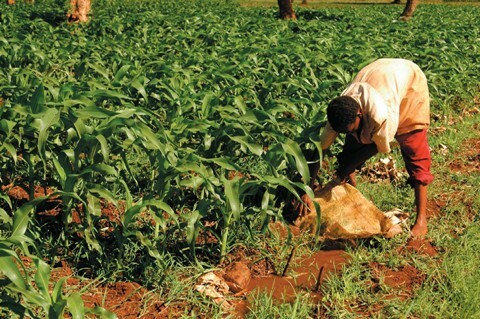 Tanzania has signed a Country Programming Framework (CPF) with the Food and Agriculture Organization (FAO) worth Sh 1.8 billion ($867,000) to implement a number of agriculture programmes including tackling aflatoxins that has caused several deaths in the country. The signing event was held in Dar-es-Salaam between the FAO Country Rep, Fred Kafeero and Ministry of Agriculture, Livestock and Fisheries, permanent secretary Mathew Mtigumwe. While signing the contract, Mtigumwe said that the three projects include tackling aflatoxins, Sh 327.5million ($151,000), empowering Kagera women’s groups after earthquake Sh648.8million ($299,000) and putting value added addition to agriculture crops Sh904.9 million ($417,000). “The funds will be used to tackle major challenges facing the agriculture sector including the aflatoxins outbreak that caused several deaths in Dodoma recently mainly found in groundnuts,” he said. He said agriculture plays a critical role in the country’s economy and FAO is one of the key partners in improving the sector which remains the biggest employer in Tanzania. He said that the framework will be a big contribution to realizing the agriculture goals Phase Two of the Agriculture Sector Development Programme. On his part, FAO country representative, Kafeero said the framework guides FAO support and partnership with Tanzania from 2017 to 2020. “The framework aims to improve agriculture, food security and nutrition in the country” he said. According to him, the collaboration between FAO and the government aims to reinforce priorities through evidence based agriculture policy, planning, investment and sector coordination; increasing agriculture production, productivity for food and nutrition security; improving market access for increased incomes; and strengthening resilience to natural and manmade threats and crises such as climate change impacts and unsustainable management of natural resources. He said, the implementation of the priorities will be through working in partnership with central and local governments.